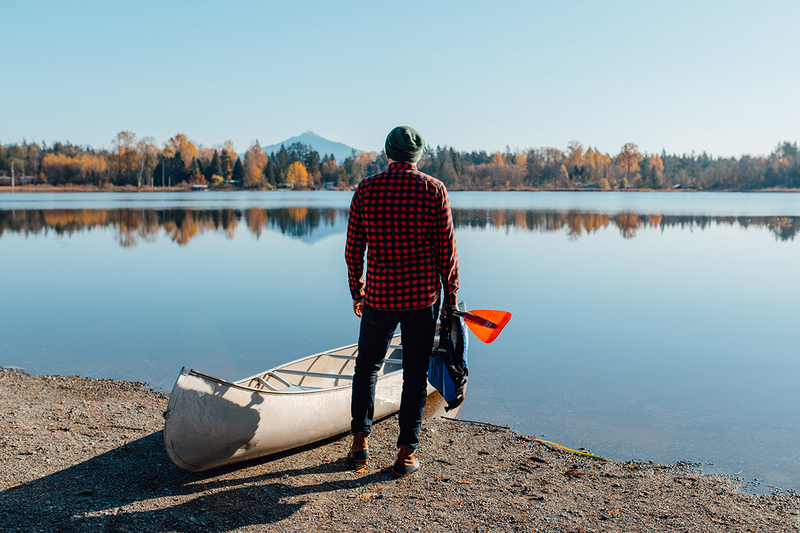 Experience the true PNW by foot, by car, or by canoe. All photos by Jake Campbell courtesy of Snohomish County Washington. The best time to visit is all the time. Rent a modern yurt and camp at River Meadows in Arlington. Redbrick downtown Snohomish is typical of the small, walkable mountainside cities of Seattle NorthCountry. Seattle NorthCountry is an adventurer's dream, a series of cityscapes, towering treelines, curling tendrils of fog, a confluence of rural highways sprouting farm stands. Our region is tucked between the Cascade Mountains and the Salish Sea just a few miles north of Seattle in Snohomish County, Washington. Nature and luxury strike a perfect balance here—we’re an urban zone on the edge of a vast green wilderness. Our central location makes it easy to explore northwest culture in a metropolis or opt out of the grind to find respite in a quiet mountain town. Nature and luxury strike a perfect balance here—we’re an urban zone on the edge of a vast green wilderness." We invite our guests to become temporary residents—experiencing the true PNW through a meandering road trip into the Cascades, a coastal cruise, or by tracing a river up a mountain valley. Oysters on the half shell, fresh from the sea. 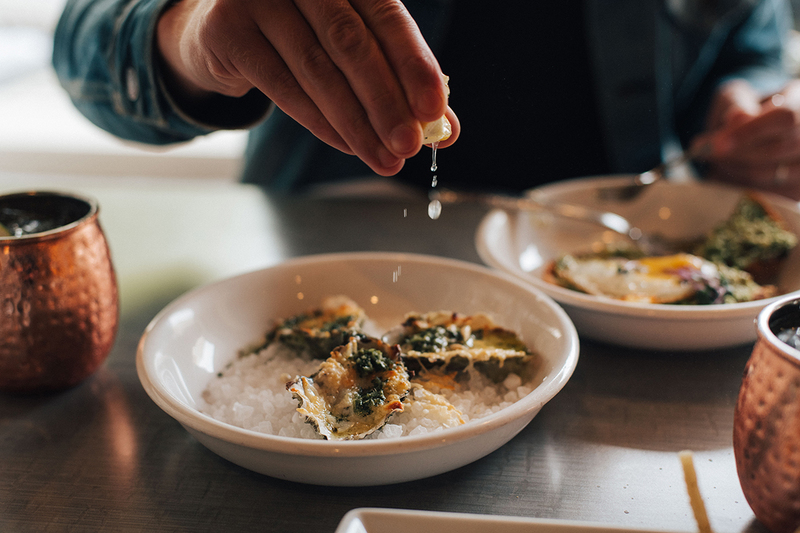 Salt & Iron in Edmonds serves up New American cuisine with a maritime twist. Mukilteo is known for ferries, fish and chips, and a lighthouse built in 1902. 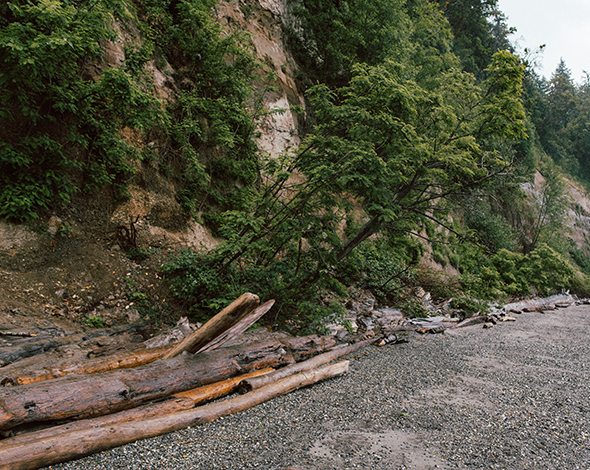 Kayak Point offers the quiet solace of driftwood and shoreline. The Seaside Loop takes northwest explorers to the coastal communities that dot the Salish Sea. Feel free to pull off the road at one of many marine parks to explore temperate waters by kayak, paddleboard, or ferry ride. Pack swim trunks, and fishing gear. Wade into tidepools and take advantage of scenic island photo ops. Art appreciators flock to Edmonds to browse boutiques in a walkable town center and eat fresh-from the-sea bounty at white tablecloth bistros. 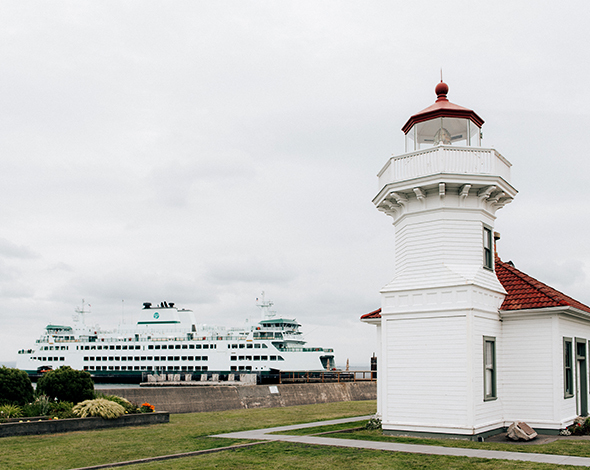 Or visitors can spring for fish and chips by the ocean at Mukilteo and take their meal to a historic lighthouse offering views of Whidbey, Gedney, and Camano Islands. Former mill town-turned-hip city Everett is home to the Schack Art Center the world’s best coffee shop. Half an hour north of Everett, but a world away from city life is Kayak Point. Rent a modern yurt there for an overnight stay and walk down the hill to Port Susan to watch the sunset over the Olympic Mountains. Big Four Mountain looms on the North Fork of the Stillaguamish River. The mountain is easy to hike to and is loved by visitors for its ice caves. Darrington is famous for bluegrass music and a jumping-off point for deep wilderness hikers. The Mountain Loop Scenic Byway takes you deep into the heart of the Central Cascades on four wheels. Get the good kind of lost for a day or for a weekend. Set up basecamp in a tent, RV, or camper van at Verlot, next to the North Fork of the Stillaguamish River. Smell the woodsmoke in the riverside pines. Hike to witness the amazing Big Four Ice Caves. Trek into the woods to the ghost town of Monte Cristo to see abandoned shacks. Driving out further, you will witness whitewater rapids and larger-than-life vistas overlooking the deep wilderness of the Mount Baker Snoqualmie National Forest. 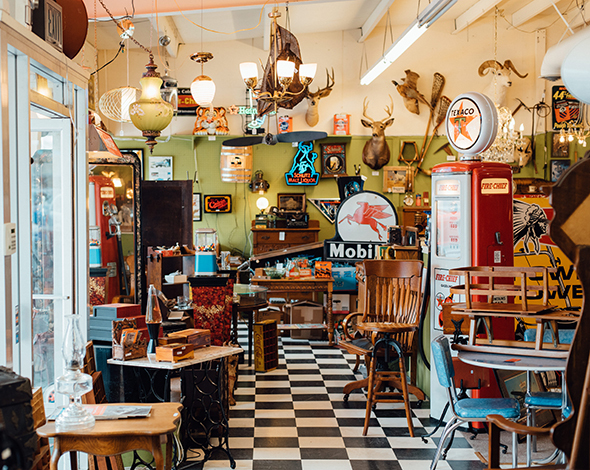 Fill up after your journey with a meal at Darrington or Arlington where you can expect a friendly small town diner vibe and a strong cup of coffee. 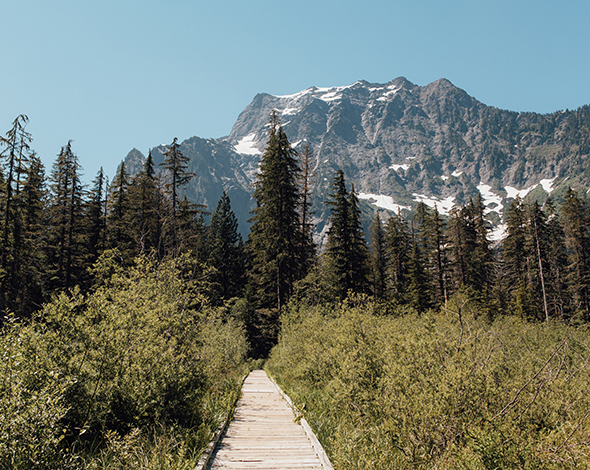 The Mountain Loop Scenic Byway offers unparalleled views of Glacier Peak, Three Fingers, Mount Pilchuck, and Whitehorse Mountain among many of the craggy peaks in the Central and North Cascades. Several mountaintop lookouts along the route offer full alpine-to-sea panoramas—breathtaking. It’s easy to see why 1,700-foot Wallace Falls draws visitors from out of state. Meet the Sky Valley. “Sky” is short for “Skykomish” but it also refers to the terminus of this river region: the cloudy slopes of the Cascades. This road trip is also the start of a 440-mile Washington State scenic byway called "The Cascade Loop". Shortly into your drive up Highway 2, the significance of the name “cascades” begins to dawn on you. 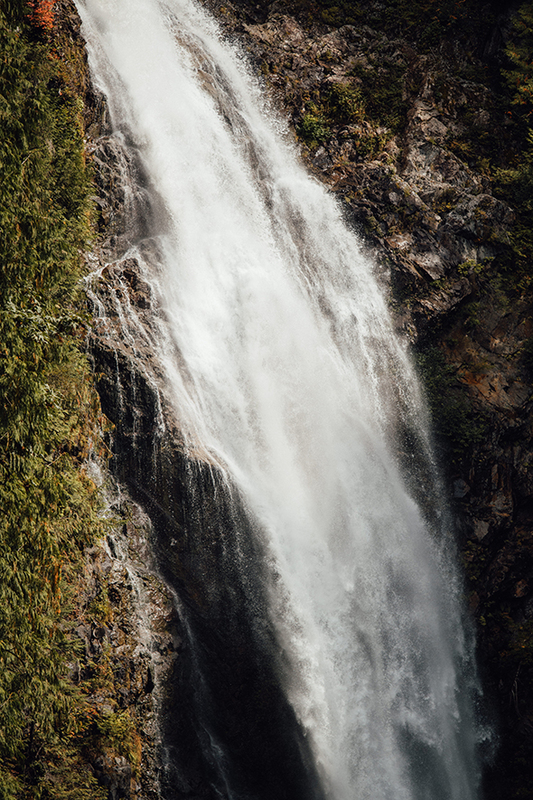 Wallace Falls is a 265-foot waterfall that humbles visitors with its misty grandeur. A switchbacked trek to the top will reward even the most jaded shutterbug. Hikers of a moderate skill level will also savor the Heybrook Lookout. A 900-foot climb leads backpackers up a rocky outcropping to a refurbished fire lookout. A glamping overnight stay is available at the top of this wooden structure if booked in advance, but a spectacular view of Mts. Persis and Index is guaranteed to wow all who ascend the tower. Eagle Falls regularly makes “must see” lists for outdoor recreation. To visit the falls any time of year is to gaze into emerald pools cut into channels of smooth white limestone. 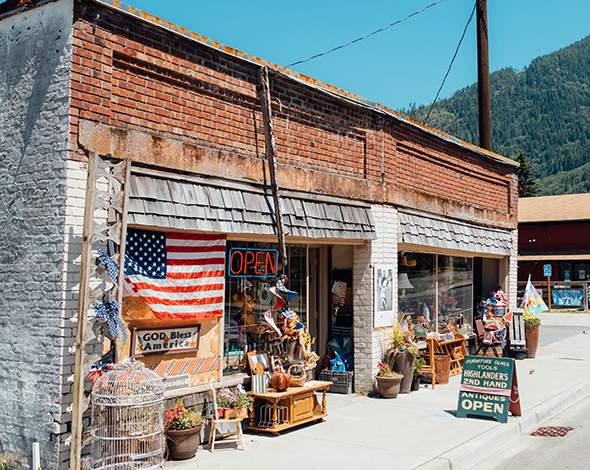 After a trip up the Sky River Valley, you may want a slice of pie and some egg-and-potato hash at the aptly-named Mountain View Diner in Gold Bar, Washington. Roadside Espresso Chalet, overlooking Mount Index, is a picnic rest area with a coffee stand made from a converted Airstream trailer. 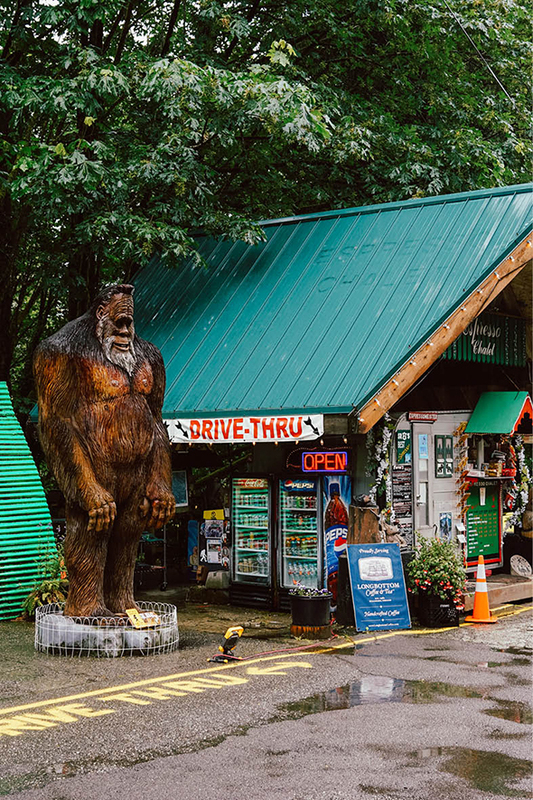 The roadside attraction features several towering wooden bigfoot sculptures. Perfect for a selfie. The dynamic Skykomish River, origin and sculpting force of Sky Valley, can be enjoyed from the seat of a rental kayak at the Outdoor Adventure Center in the tiny town of Index. 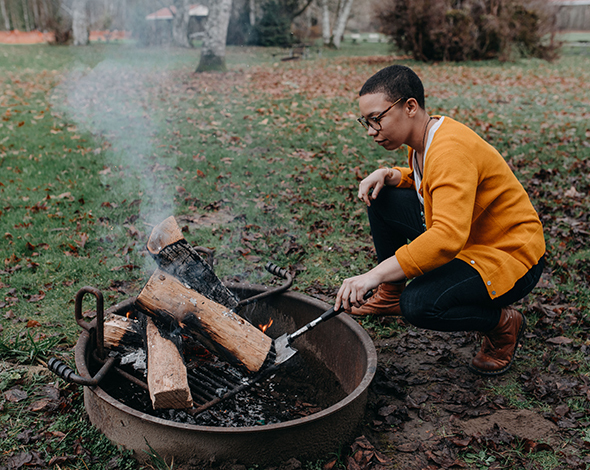 After a guided trip down the river, kayakers can return to the adventure center’s rustic chalet for an Eastern Washington cider and a crackling fireplace.